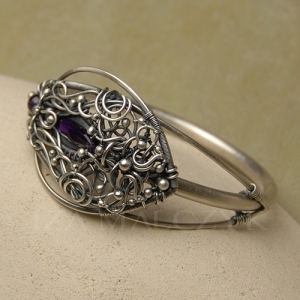 Unique bangle with a decorative filigree designed around beautiful faceted amethyst marquise and round. All in oxidised and polished fine and sterling silver. A pair of earrings can be designed to make a set with this bangle - for more info, please convo me.